Everybody wants extra battery life, but there’s no way to get it without adding considerable bulk, and when your battery case drains you’re left with a lump of dead weight. Boostcase has a solution. There’s a slim protective shell with accurately cut openings for all the phone’s controls, which provides a safeguard against scratches and knocks. The clever part is you can slide it into a larger enclosure that houses a 2,700mAh battery. That’s going to roughly double your iPhone 6 battery life. There’s a simple toggle switch to turn it on and off and an LED strip along the bottom to display remaining power, ant it also features redirect ports for the speaker. It comes in matte black or gold, gloss pink, green, and orchid, and there’s a cool clear version that shows off the inner workings. 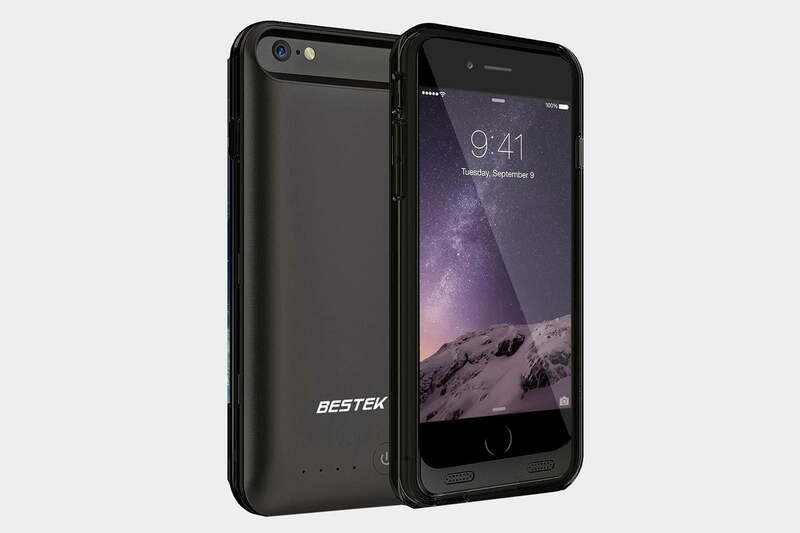 You can effectively double your iPhone 6 battery life with this case from Bestek. Handily, the bumper detaches so you can slide your phone into the lightning connector, and there’s a power button so you don’t waste stored energy for no reason. The interior has a gentle lining to avoid scratching the body of the phone, and there’s a soft-touch coating on the outside so it’s pleasant to hold. Meanwhile, precise cut-outs and button covers provide full access to the phone, and there’s a Micro USB port at the bottom for charging. It’s fairly slim and light considering it’s packing a 3,100mAh battery. Since the case blocks the normal audio jack, there’s an extended cable included. There’s also a nifty redirect for the speaker to push the audio out the front. This case sports a slightly odd design. It is quite bulky, but it leaves the iPhone 6 controls exposed rather than using button covers. Some people may prefer this, though drop protection is questionable. The clever part is the sliding lightning connector at the bottom which makes it easy to fit and then lock the phone in place. The battery is rated at 2,800mAh and you can expect at least a full charge from it. There’s a power button and four LEDs on the back that show you how much juice is left. It charges via microUSB and there’s an extender cable so you can use the iPhone 6 headphone port. 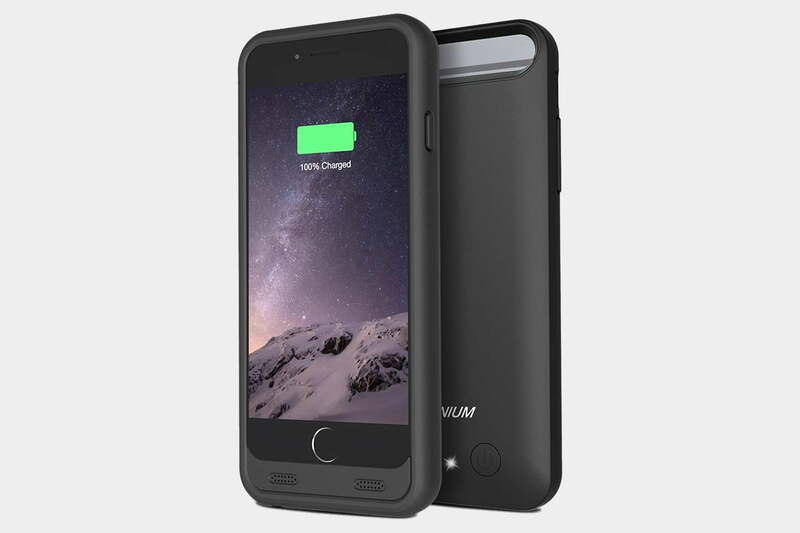 The protective design on this extended battery case is a little different from the rest, with a hard shell back and a bumper round the frame. The bumper comes in a variety of different colors, while the main body is in white or black, so if you want a splash of color it could be the one for you. It’s worth noting it has an extra large cut-out for the camera, so there’s no worry about flash splash back, which is often a problem with oversize cases. 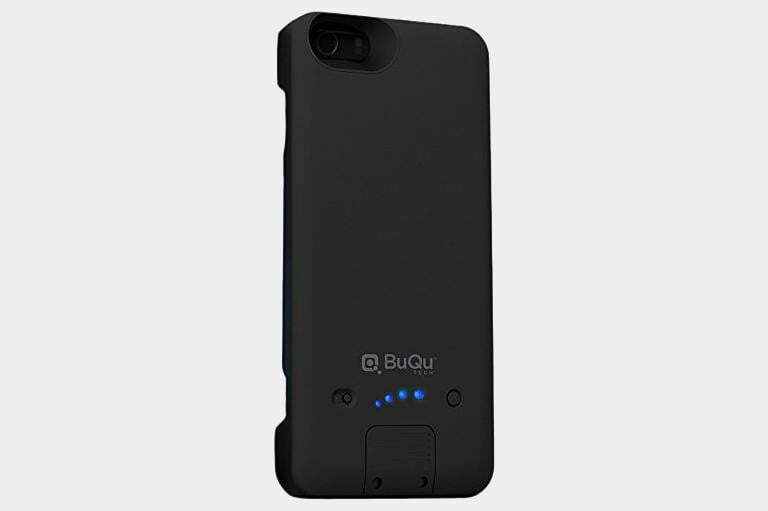 The 3,100mAh battery inside is more than enough to recharge an iPhone 6 at least once. Despite all this, it bucks no trends with four LEDs and a power button on the back. There’s also a headphone extender and micro USB cable in the box. 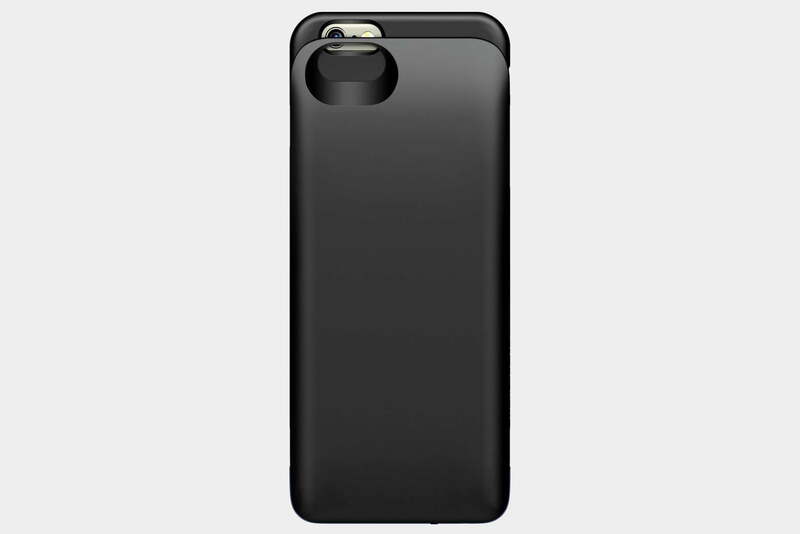 That’s all of the iPhone 6 battery cases we have for now, but we’ll add new entries as we discover them. If you have a favorite you want to recommend, please hit the comments.